Knowing how to clean a guitar fretboard properly at the right time is the best and most economical way to maintain the quality and sound of the guitar. But not every guitarist pays much attention to this. The fretboard which is one of the most critical parts of the guitar presence as a long thin piece of wood attached to the neck. Here is the contact point linking notes played to the whole instrument body. And, also on this guitar component, fingers perform at most. The high frequency of finger touching leaves dirties on the fretboard and reduce the guitar quality for years unless you make it clean regularly. Dirt is always available in the environment and for sure around us all the time. Your guitar will get a lot of dirt regardless of how often you play. Dust will be easy removal with a dry cloth or wipes. However, when mixing with the sweat from hands, the dust becomes dirties. They cling to surfaces, parts of the instrument. Natural oily compounds from hands will stick to the wire whenever you play. Over time, these outcomes will corrode the wire material and create a buildup of dirties. All of them push the wire to be corrosive faster than usual. Then, the sound quality does down as a result. It is the reason why it is pretty essential to learn how to clean a guitar fretboard. Don’t let your ignorance waste your instrument investment. A typical cloth moistened with water is not enough to get rid of all dirties on the fretboard. Ridiculously, some individuals crumple newspapers or take advantage of vacuum cleaners to clean the fretboard. That is wrong. By that way, it is impossible to clean the instrument thoroughly. Cleaning the guitar fretboard requires more materials than people have thought. 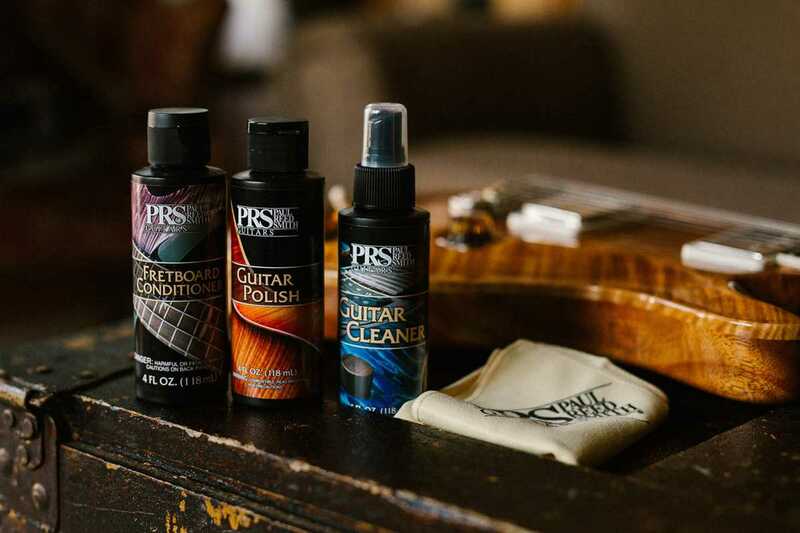 For a solution to clean the guitar fretboard, there are three main types including chemical cleaners, chemical mixing creams, and oil cleaners. In the comparison of three, the third always get the appreciation. Although the others show perfect abrasion against dirties, they struggle the durability of the wood. The soap made by the Potassium vegetable oil is in the list of gentle cleaning products with the wood material. After mixing the solvent with a little water, you can scrub the fretboard. Of doing it more straightforward, a toothbrush may be in use. In general, the soap works quite well. In spite of such great result, the cleaning process can get worsened if you leave it dried without getting it off immediately after finishing. The crustiness of the soap can frustrate the guitar surface due to your carelessness. As a type of solvent, the Naphtha is an indispensable guitar cleaning material. It is to break up oils which tend to stick to the fretboard for a long time. The significant factor of the Naphtha lies in the way that it against the dirt and evaporate so quickly without causing the wood to expand. Just a little of the Naphtha, you can take off all old sweat. However, there is a note that the solvent should be far from the flame since it is easy to cause a fire which is freaking dangerous for both the instrument and the human being. Many products are available to clean the guitar fretboard and not leave scratches on the wood surface of the guitar. You can pick paper towels or fabric cloth as long as they are soft enough. You had better spend a soft cloth to clean the guitar after every training session or performance. At the same time, it is extremely important to clean the dust on the instrument before you intend to put it in the bag. While removing the dust, don’t forget to check for any cracks. Regardless of how significant the break is, it is in need to bring the guitar to a professional repairer. If you do not fix the cracks, for times, moisture will penetrate the wood and deform the guitar. For parts of the guitar as a whole, the fretboard is the one challenging a player the most to clean. So, followings are detailed instruction of how to clean a guitar fretboard to prevent adverse impacts on the instrument quality. As a keyboard, the fretboard is in constant contact with fingers and builds up a lot of sweat and dust on this position. Hence, you need to slack or remove the strings to do the deep cleaning for both the neck and body of the guitar. Such a step can go on your hands or tools; it is up to you. After removing all strings, it is time to eliminate each layer of dirties. Firstly, you use things with angles like cards to scrape the first dirty layer. Or a razor blade is also welcome if you find it hard to get rid of the dirt only by the card. However, this step requires to do as gently as you can since it is easy to leave scratches on the guitar surface. You scrape step by step all parts of the neck, carefully with each fret. Then, you use a vacuum cleaner to get the dirt which you have already scraped and turned to the next step. With the purpose of ensuring the fretboard is entirely clean, you use a piece of soft cloth, apply it with a little of the oil and wipe stains left along the neck. Next, take another fabric without oil to do the final clean. 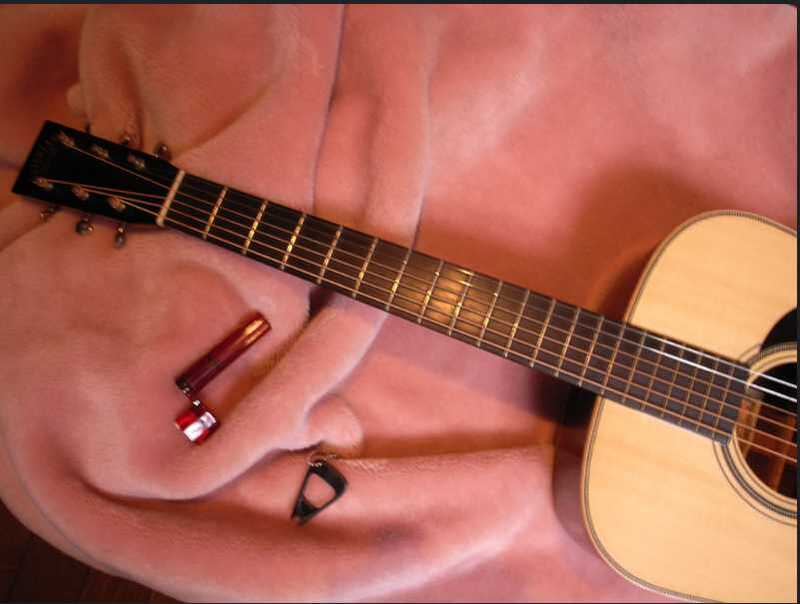 By completing all steps, the final one of the process is to insert the strings into their position and put the guitar in the bag till the following usage. Cleaning a fretboard is not tricky, but it requires to take time and carefulness. As long as you do the cleaning regularly, both the quality and the sound of the guitar stays a perfect tune for years. Hope that the information of how to clean a guitar fretboard can create a long-lasting link between you with your lovely guitar.